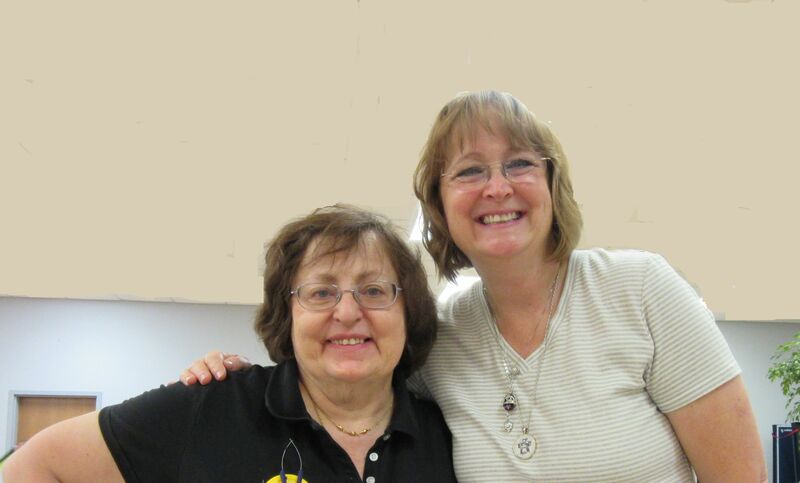 Bonnie was delightful and so funny during her lecture, but very serious when teaching various methods to quilt concisely, effectively and efficiently. I learned a lot from her workshop and lecture on how to organize your leftovers into useable scraps. 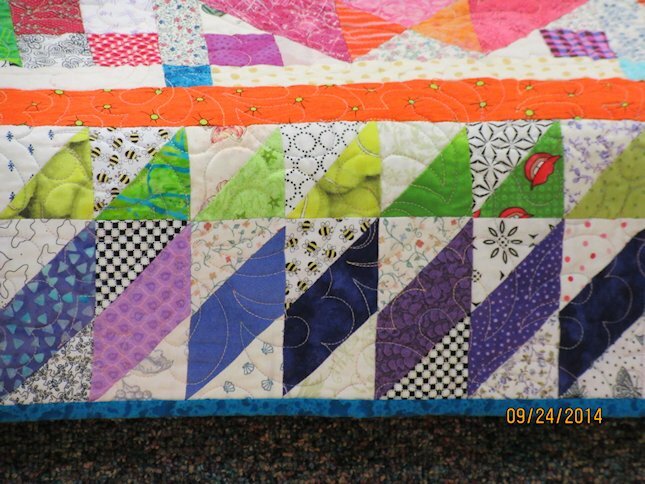 As I have a lot of left overs and small pieces of fabric in my stash having inherited several stashes from other quilters I plan to find a pattern I like then build a quilt using the techniques she taught. 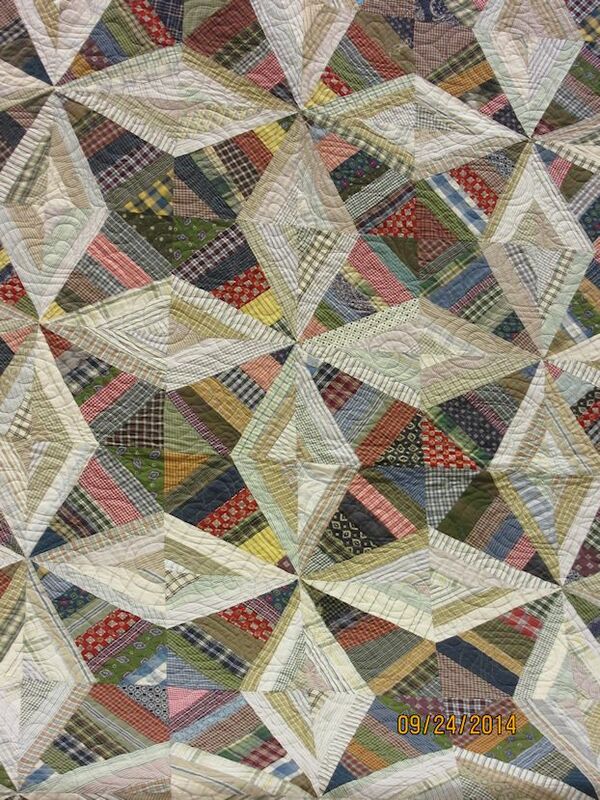 The half square triangles and 9 patch units are 3 inch finished. They are assembled into a 9 inch finished block. We only had enough time to assemble one block, but I have enough nine patches and half square triangles to assemble the baby quilt I had planned for. After we finished our workshop we went to a local favorite restaurant, called LUCKY’s Steak House. Bonnie is working hard at getting and staying fit, she walked everywhere trying to get her steps in for the day. 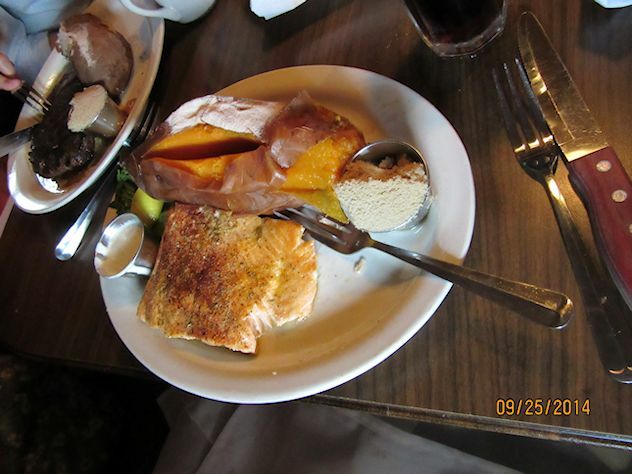 She ordered the salmon and sweet potato. She was surprised at the size of the sweet potato…. YES it was huge. I think it was the biggest sweet potato I had ever seen. I have eaten at Lucky’s many times as it is my husband’s favorite local restaurant. I got my favorite dinner THE PRIME RIB and baked potato. 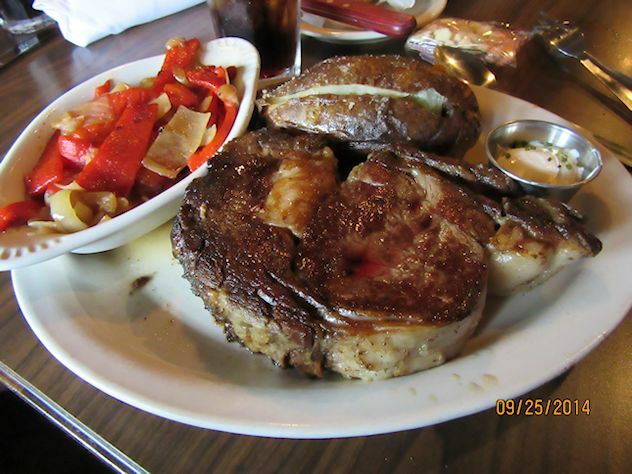 NO I did not eat the whole thing… I ate my potato then took most of the meat home to share with my husband . I did not have to cook dinner that night…. so yes I was lucky. I will be posting a podcast about my experience during the workshop and what I took away from the experience in the future. Life has gotten in the way of podcasting but I plan to MAKE time for it soon. 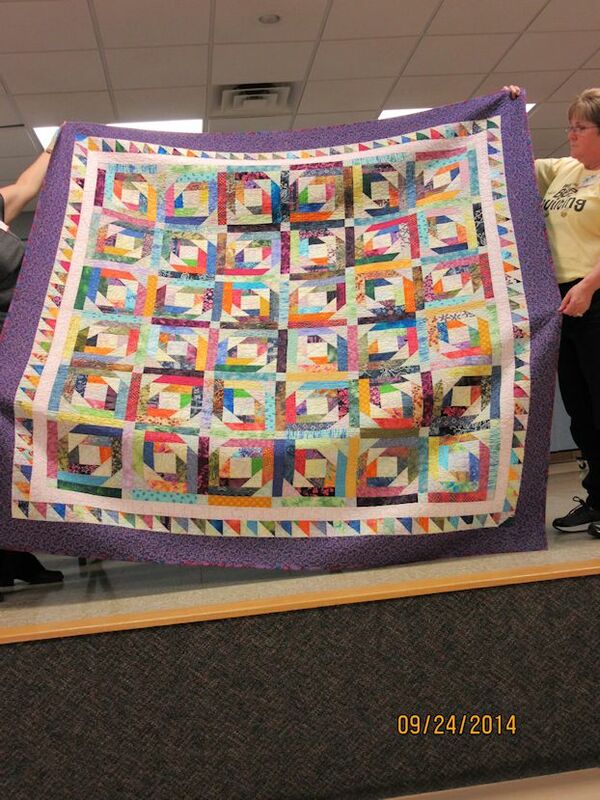 Day spent with BONNIE K HUNTER, Scrap Quilter Extraordinaire …. 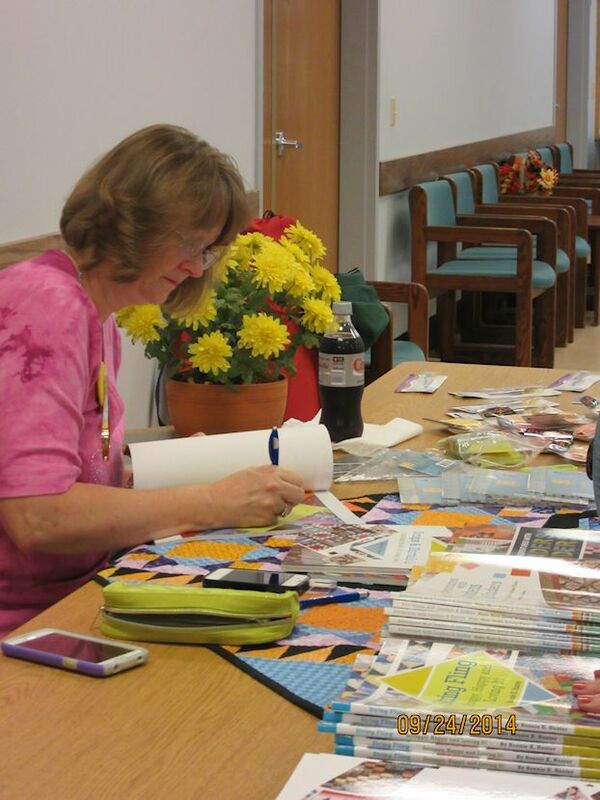 BONNIE HUNTER came to our guild the EVENING STAR QUILT GUILD in Davison, MI. Of the many lectures she gives we had selected to learn about her SCRAP USERS SYSTEM…. you will notice this is the user system NOT the saver system. Bonnie’s goal is to get everyone to use their fabric down to the last sliver. 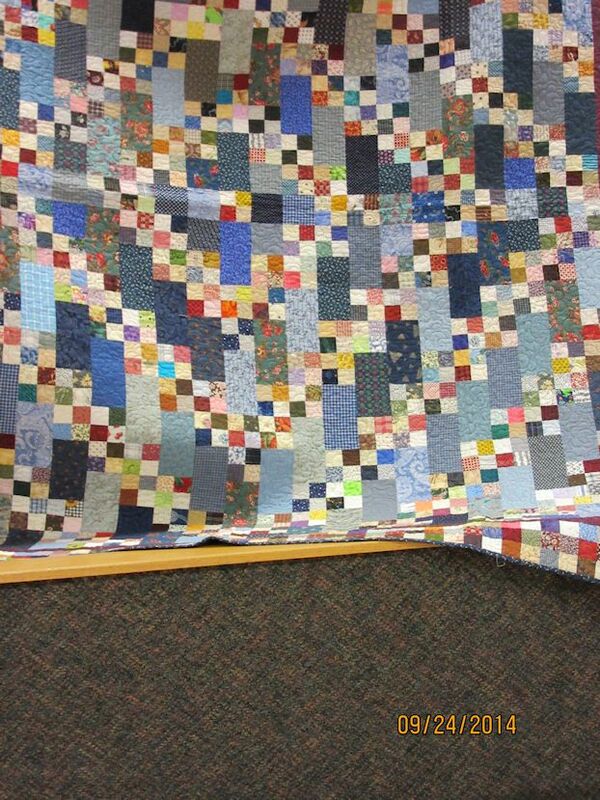 BONNIE’S teaching quilt for SCARP USER SYSTEM. 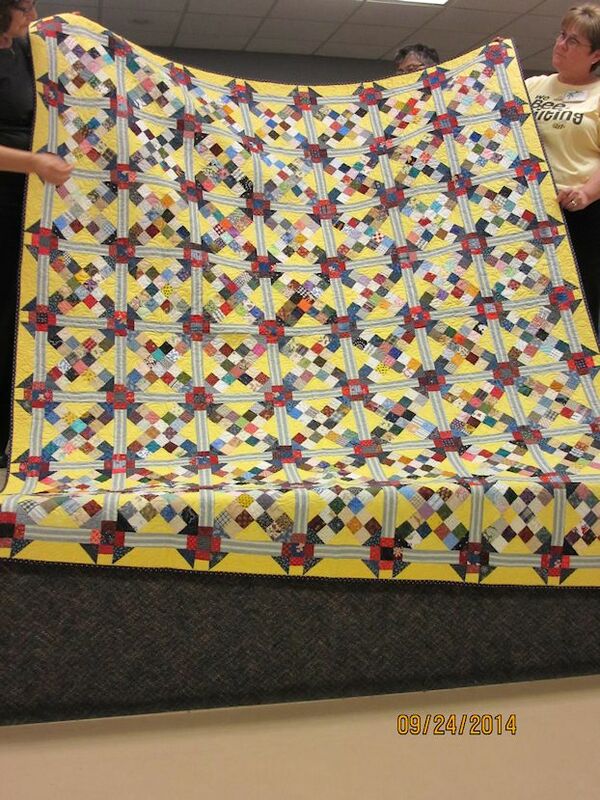 During the lecture and trunk show she showed us the quilts that she made using her system. 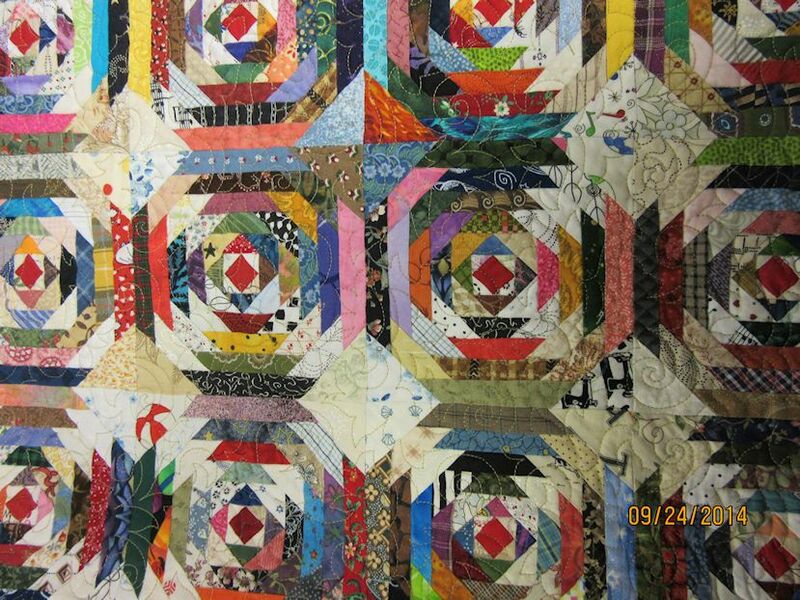 She went into great detail on why she cut her scraps into exact strips and patches sizes. 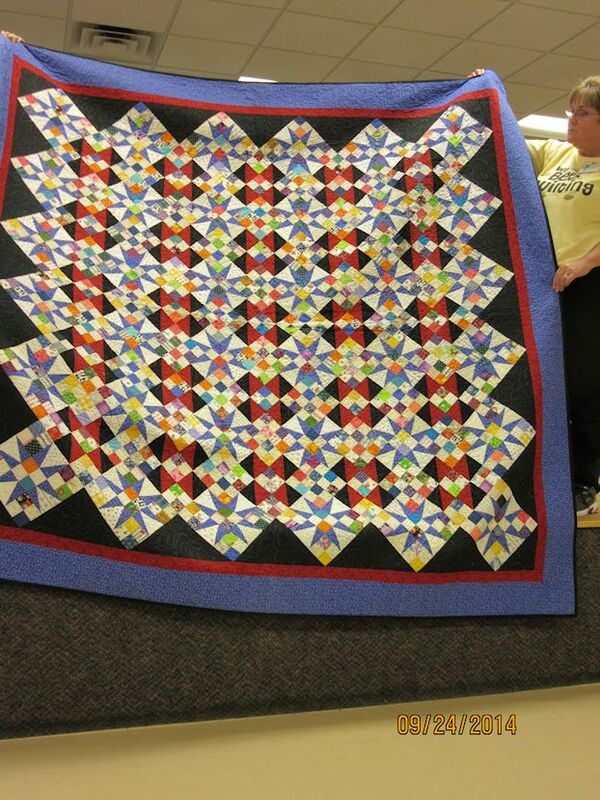 We were in for a real treat as she displayed a number of quilts she had made using her system. 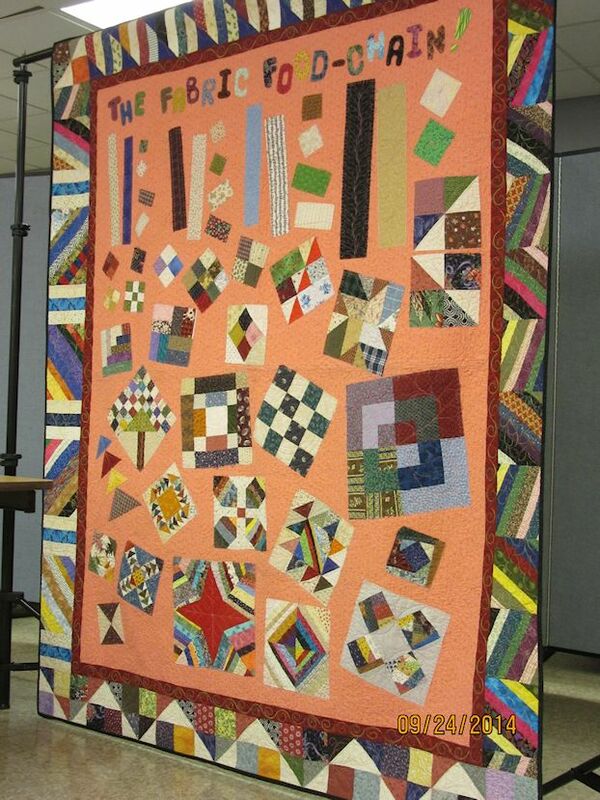 TUMBLO TRAIL this is the quilt that was selected for our workshop. When you click on the picture it should take you to a new window with a bigger picture. . . .
PINEAPPLE BLOSSOM… this is a free pattern on her web page. 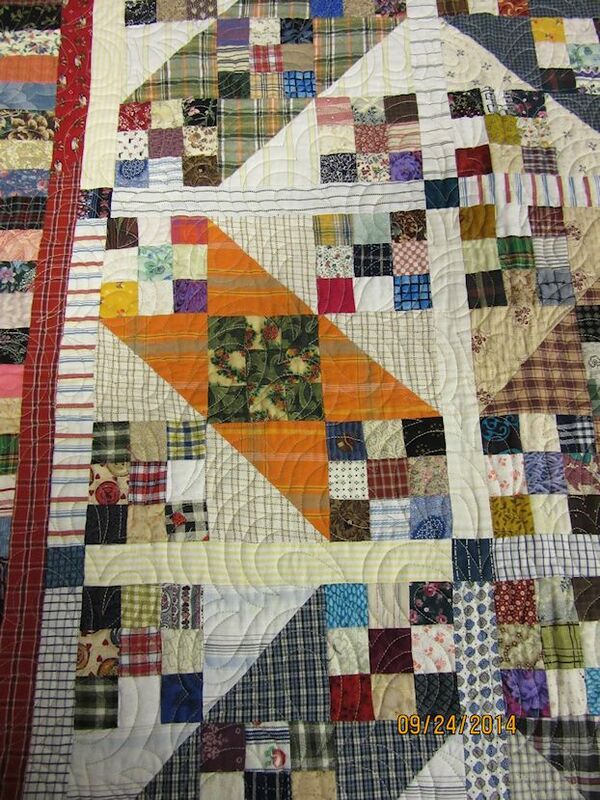 Bonnie has been exploring making quilts with strings patches. At the guild night I purchased an older book STRING FLING. 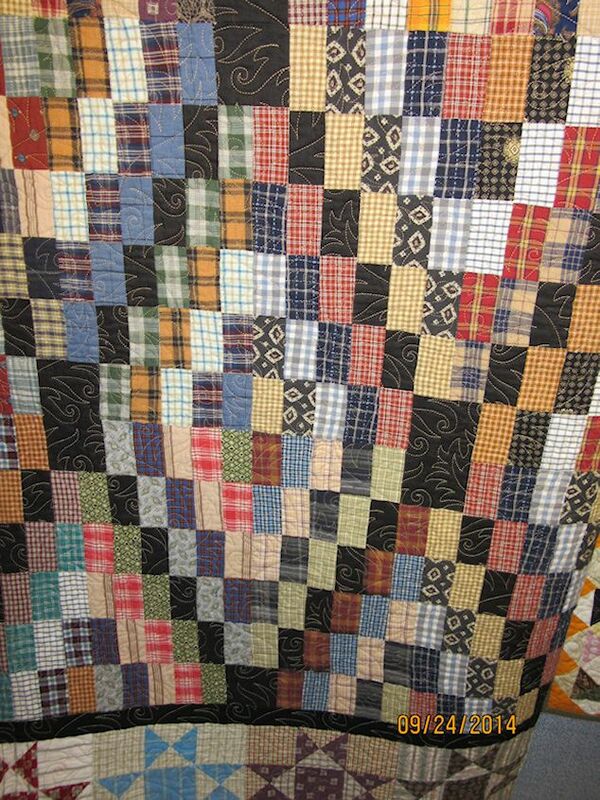 She displayed several quilts from that book. 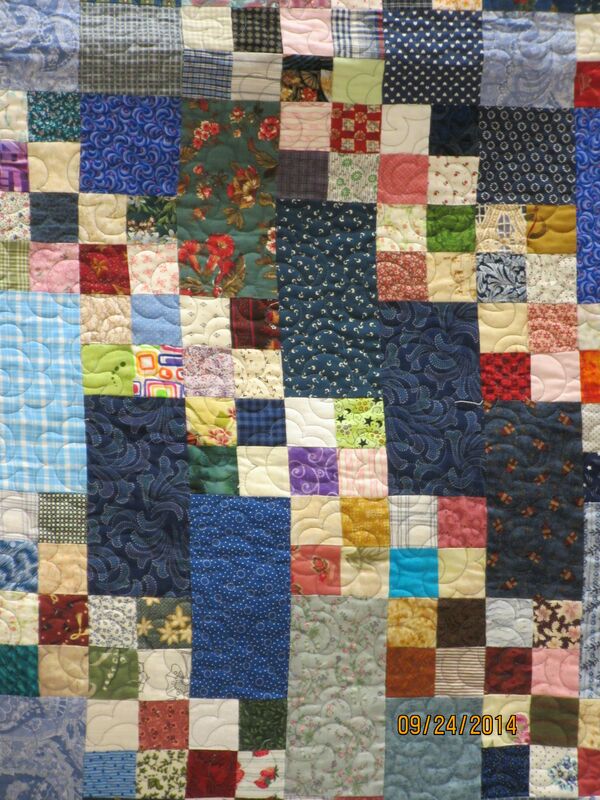 I think the guild’s favorites were her PINEAPPLE QUILTS. 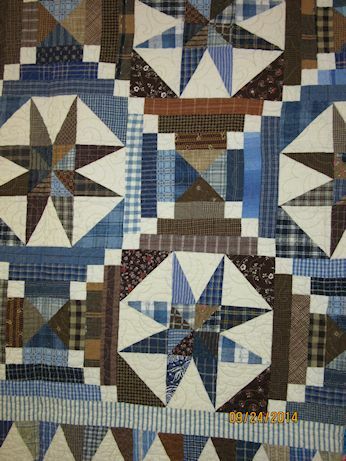 ONE of Bonnie’s best tips was to plan the border of the quilt and use those units to be your leaders and enders while you make the patches for the quilt body. 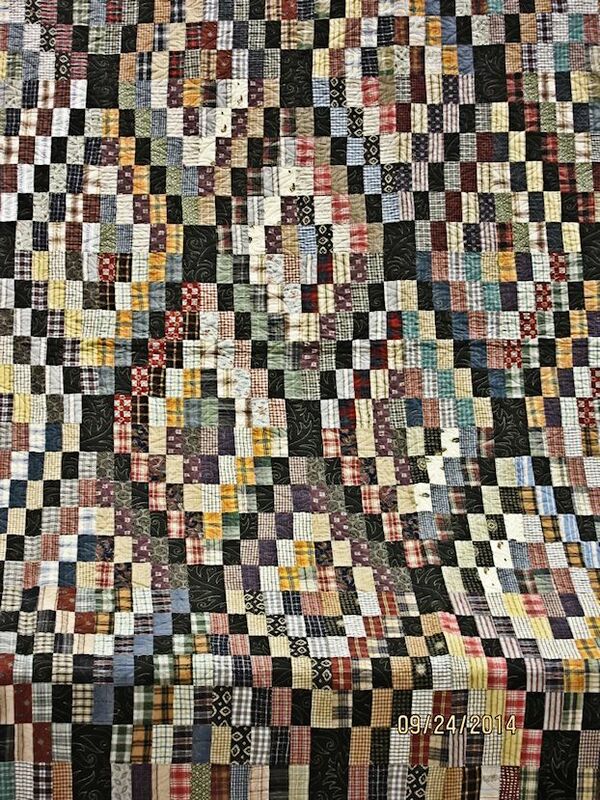 As she has said, a quilter is always tired of the project and ends up slapping a plain border on the quilt to get it to size. 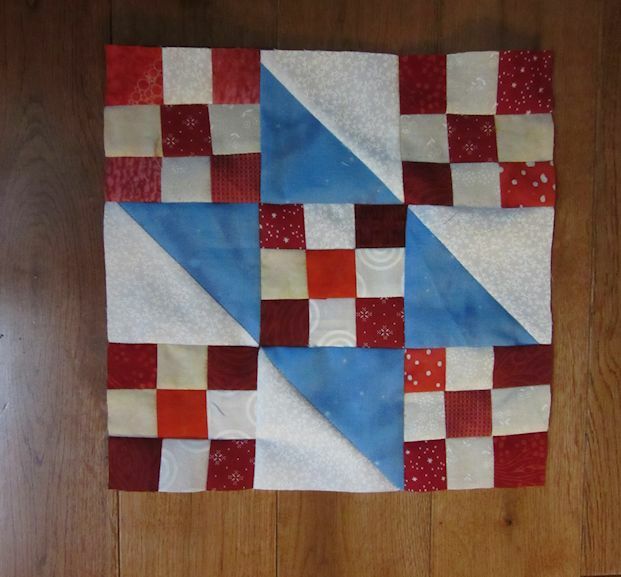 By a little pre-planning you can have a lovely scrappy pieced border by sewing them during the piecing of the patchwork.